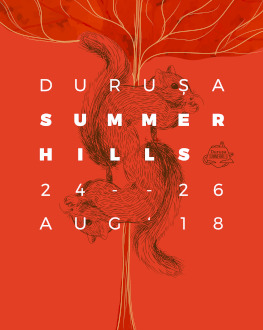 Durușa SummerHills Festival is on! A fresh and intimate party, up on the hill, near a remote village in Maramureș is the place to be at the end of this summer. The dopest afterpartysummerfestival, all in one word, which in all resembles a big garden party with the nicest folks around. It`s about to get wicked once more! For all you top cats everywhere, the 9th is here! And it`s FRESH. New additions to the festival groove, new spots to be discovered, better food, better service, top music and only the best crowd. You know it! You make it! You love it! Buy your ticket online or from our partners, until August 23. Check out www.summerhills.ro/tickets for details! PRESALE | 3 DAY FESTIVAL PASS - 80 lei | Full Access. Available until August 23. PRESALE | UPHILL PARKING TICKET - 50 lei | Only 50 tickets available due to rough terrain and limited parking area. Valid for one entry! ON THE SPOT | UPHILL PARKING TICKET - 50 lei | If there will be any available tickets left. Valid for one entry! All new info will be first available online on www.summerhills.ro, www.instagram.com/summerhills.ro and www.facebook.com/RoadRunnerSociety.